What type of Visa do you need? Learn about the different visa classifications. Immigration law is divided between non-immigrant visas, immigrant visas, and citizenship. Visas are obtained at a U.S. consulate abroad always. A visa is never issued in the U.S. It is the document that is placed in the applicant’s passport that allows them to enter the U.S. It is possible to have the “status” of a certain type of visa without actually having the visa. One common example is the student on an F-1 visa who applies from within the U.S. to change his status to H-1B. Provided all else is approved (and also the timing is right on the H-1B), then the applicant will have the status of an H-1B as long as he does not violate the status, or it expires, and so long as he remains in the U.S. If that person leaves the U.S. for any reason including vacation or his job, he will need to apply for the actual H-1B visa at the appropriate U.S. consulate abroad before being able to return to the U.S.
“Non-immigrant” refers to visas for temporary stay in the U.S. There are very many of these types of visas. They include visitor for pleasure (tourist), visitor for business, three different types of student visas (J, F, M), certain temporary work visas including the H-1B (and all the H visas), E-1, E-2, L’s, P, Q, R, I, and TN, among many others. Each type of visa has specific requirements that must be met. With the employment visas, both the applicant for the visa and also the job need to qualify. For example, in the case of an H-1B visa not only does the foreign national need to possess a minimum of the equivalent of a bachelor’s degree (4 year university degree) from an accredited university in the U.S., but the job must also require a minimum of a bachelor’s degree to be able to perform it. So for example, you will need to demonstrate the job requires an accountant and is not a bookkeeper’s job that doesn’t require a degree. A similar example would be the Registered Nurse whose job is actually a nurse’s aid or administrative, or one that doesn’t require an RN. On the other side of that issue, consider the prospective employee who was an artist with a Master of Fine Arts degree. Certainly there have been famous artists throughout history who did not have a university degree, so a position as an “artist” would not qualify for an H-1B visa. However, in one of our cases the specific job duties actually matched better to a curator of an art gallery, and that visa was approved as a curator, whereas an artist likely wouldn’t qualify. “Immigrant” visas admit someone into the U.S. for permanent residence not a temporary stay. Someone who enters the U.S. on an immigrant visa, is a lawful permanent resident, and possesses what is commonly called a “green card”. The U.S. immigration law is basically divided into two categories of immigrant visas: family-based immigration and employment-based immigration. See our page on Permanent Residence for more detail. The law contains a presumption that anyone applying to enter the U.S. intends to stay. That is called immigrant intent. Anyone applying for a temporary or “non-immigrant” visa has the burden to establish that he is coming for the stated purpose (e.g. to attend X University), and that he intends to return to his country. The only exception to the presumption of “immigrant intent” are those on H-1B visas or L-1A visas. Only those two specific non-immigrant visas allow for dual intent, meaning the applicant may already be in the process of applying for permanent residence but still be granted an extension or a new H-1B or L-1A visa. In addition to qualifying for the visa, each applicant for any type of visa must be admissible to the U.S., i.e. 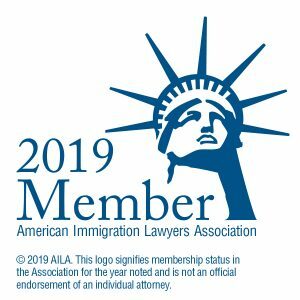 not subject to any of the grounds of inadmissiblity, which takes into consideration any prior immigration history or violations, criminal history, security risk, and more. Depending on the reason that someone is inadmissilbe to the U.S., there may be a waiver available. Each case requires an individual custom assessment.